Earlier this afternoon, Satoru Iwata hosted a Nintendo Direct live event that unveiled many details about Nintendo’s upcoming console, Wii U. 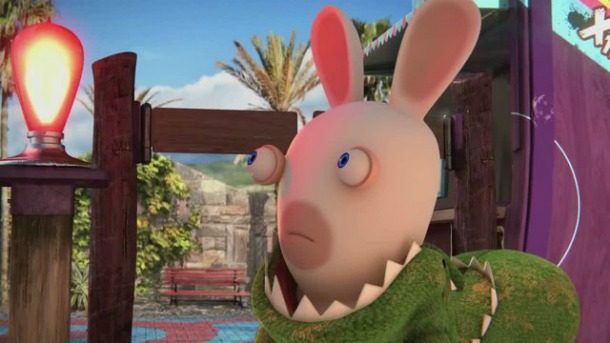 He opened the episode with an explanation of Nintendo’s policy, which, at its core, is to be unique in its creations. The success Nintendo experienced with the Wii was primarily due to this concept – the idea of both creating something unique and bringing a family together. Nintendo’s current endeavor, the Wii U, is intended to utilize this feature and expand upon it. As the presentation progressed, it was evident that the Wii U is a multi-functional console that will live up to this goal. The Wii U Game Pad was the focus of much of today’s Nintendo Direct, and for good reason: the game pad itself, while bulky, has a myriad number of features fashioned both for the individual and for interactive purposes. At first, the Game Pad seems retro and awkward given the diminutive physical trends of technology in the video gaming industry today, but its uses far outweigh the attraction of sleeker devices. He then proceeded to show the audience the new Wii U Game Pad, which is significantly larger than previous controllers. Using the Wii U Game Pad, he showed how the game console can be turned on and off with a few simple clicks, although the TV of consumers will need to be turned on via its own method still. He then proceeded to show how the Wii U Game Pad provides gamers with an additional screen while they are playing. 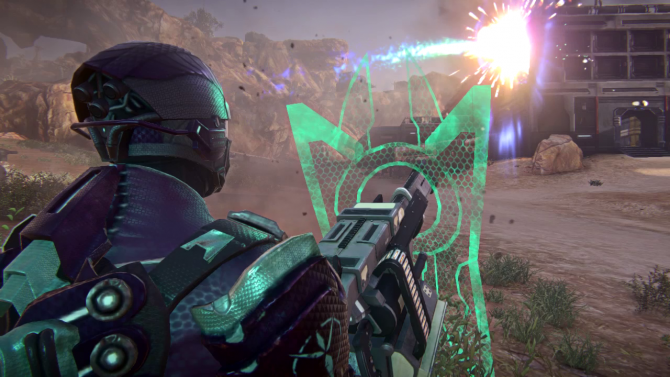 The video then proceeded to show a game in which players utilized the mini-screen on the Wii U Game Pad to shoot ninja stars at their actual TV screen. You can continue playing on the Game Pad even while the TV is being used for something else. The Wii U Game Pad can also display high-quality images at the same resolution and graphical quality as they would be shown on a larger screen, such as the television. Overall, people may wonder if the Wii U is an evolution of the Wii, or something entirely different. I think the answer is both. [. . .] Today, Wii U does what Wii did, only better. And at the same ime, it is also something entirely new. Not only can it connect people in a better way within the same living room, but it also can connect people’s living room to living in a much more complete way. 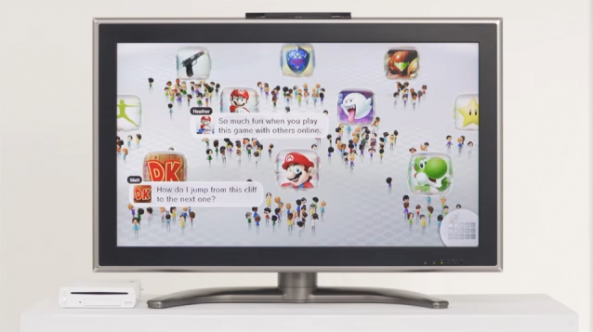 The Wii U can also be used as a communicative device, as is shown in a commercial for it within the Nintendo Direct. You can search for game solutions online with other players using the Plaza feature on the Gamepad. A screenshot of this feature in action can be seen below. Wii fans will recognize the continuation of a feature from the original console: the Mii. 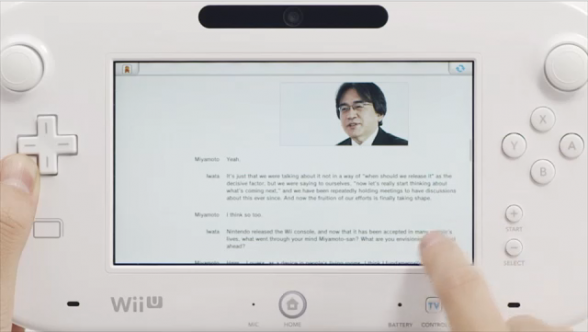 Iwata described the Mii in the Wii U as “Mii Wara Wara”. “Wara Wara,” he explained, is a Japanese expression to denote the general chatter of people in a crowded environment, which is exactly what will happen when a gamer enters the Wii U plaza with their Mii. What is the plaza? It is a public, virtual ground in which Wii U users will be able to meet and interact with other players. 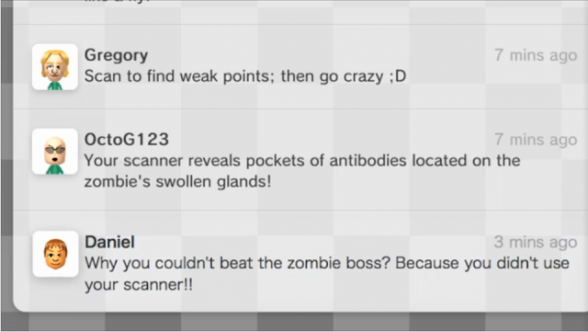 The Miis will congregate around icons representing their games and activities, all taking place in an environment called the “Miiverse,” or “Mii Universe.” The Miiverse is a place where Miis from all around the world can connect via the console. Communication between the Miis will occur via simple text messaging, but the Game Pad directional features will play a part of use. The touchpad on the Wii U Game Pad will make communicating with others much easier via text. Players will also be able to communicate via drawings using the touchpad. 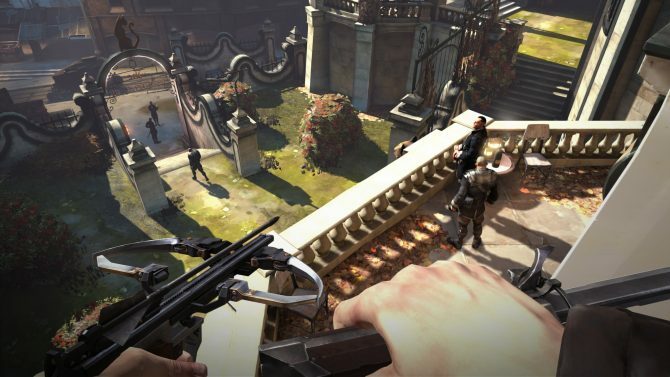 They will also be able to share screenshots from their own games with other users. We consider the small screen on the Wii U Gamepad as a social link, capable of linking player to player. Not only does the Wii U offer players a way to communicate across great distances, but they can also enjoy a sense of connection when they are not playing at the same time. 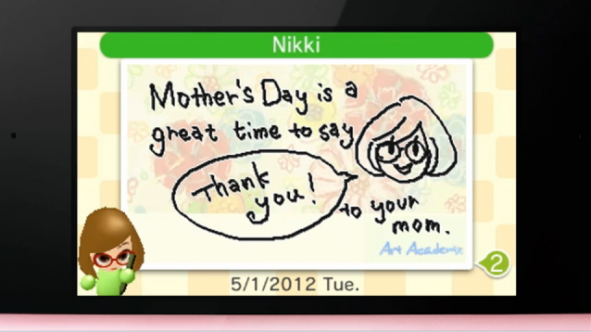 Players will be able to compete with others online, but with the Miiverse, even with a single player game when players are not competing or cooperating at the same time, even when the games are not designed for online interaction, Miiverse can connect your living room with those of others, regardless of space or time. Iwata proceeded to state that, although it won’t be available initially, Nintendo intends to expand this feature to multiple devices even outside of the Nintendo franchise. Furthermore, the Wii U Game Pad can be used to browse the internet in general – you can view photos watch videos as well, not just on the Game Pad’s mini screen, but also projected onto the television screen. What does this mean for gamers? 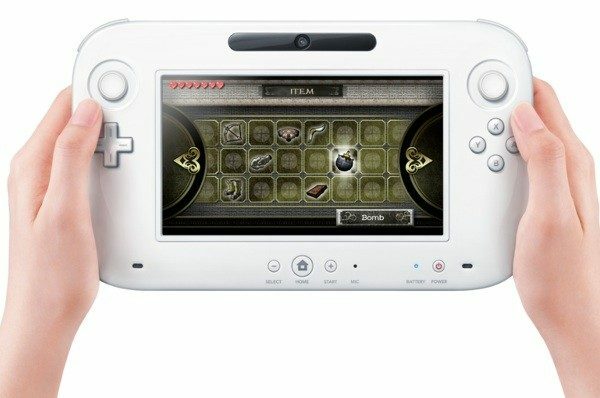 The Wii U Game Pad possesses a number of features that are currently only available to expensive smartphones and tablet devices. With the inclusion of these features on the Game Pad itself, the Wii U and its associated Game Pad is truly aiming to make a niche in the market as a multifunctional, easily-accessible device. For more information on the upcoming Wii U, keep an eye out over the next few days for more presentations at E3. Iwata is scheduled for another media briefing tomorrow afternoon. To view archives of prior Nintendo Direct presentations, click here.